The Guardians Are Here – New Release! Pinning down these works to a specific genre is not really possible. They feature horror, future fiction, occult/supernatural, parapsychology and the paranormal. Quite a feast, really! 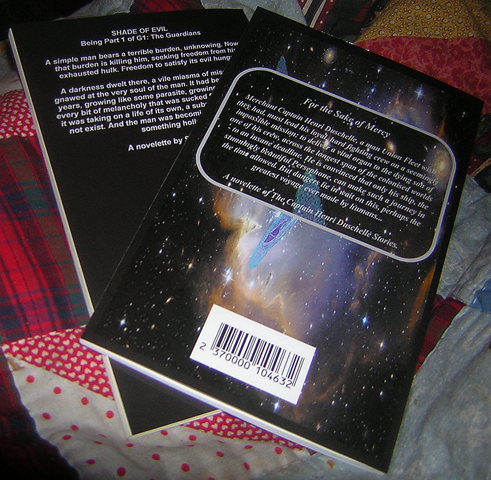 About two weeks after its release on Amazon, the ebook will also be released through Smashwords, in multiple formats. If all has gone well with getting Shade of Evil into paperback form, then this book will follow suit. At present, electronic publications are submitted to us on a voluntary basis, although Legal Deposit for electronic material is likely to come into force next month. Currently, where a publication is produced in print format, there is still a requirement for this to be sent to us, and we would not require an electronic version as well. Material can be submitted to us by e-mail attachment to this address, providing the total size of the e-mail is no larger than 5 MB. As you have mentioned, PDF is our preferred method but we can accept other formats just as ePub or mobi files. A refreshingly clear reply! Note that “Legal Deposit for electronic material is likely to come into force next month”. On Saint Valentine’s Day, very late, I self-published my latest short story ebook, through Smashwords. Now, this one was a little different from previous releases. It’s a tale in its own right, but it’s also linked to Thief. I call it a prequel, but only because it starts a little before the events in Thief take place. In fact, it overlaps that story. It’s definitely not a sequel, that I’m sure about. So, what is this ebook? Well, it’s all made clear below. Gabrin Parr, son of the mighty Elthan Parr, discovers the terrible fate which hangs over him, thanks to his courageous mother. Rebelling, he flees, until he learns of his mother’s cruel death. Driven by that, he determines to destroy his father – and the evil he contains. Can he triumph over an evil that has lasted for thousands of years? The ebook is available in multiple formats from Smashwords or as an ePub from Goodreads. 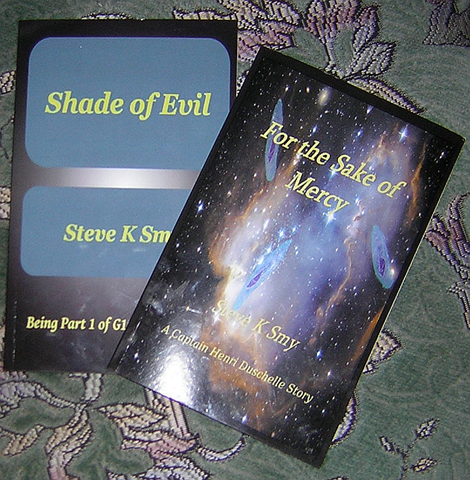 If you do download it, or any of my ebooks, I would very much appreciate a review on either/both Smashwords/Goodreads. Thief is Steve’s latest short story ebook, released 8th February, 2013. Thief is a fantasy centred around the young thief, Tirnam. It takes place in a city that is under the heel of an evil conqueror, its people all enslaved by the occupiers. Tirnam lives with the old thief who saved his life, who dreams of escaping the city. But the old man is crippled and there’s no realistic way out. So Tirnam must face the dilemma of allowing his adoptive father to sudden terribly in a dreadful gamble at escape or to live on in perpetual danger from the conquerors. But there’s another course, and it’s the old man who points the way: Tirnam can try to raise the people in rebellion. In the end, he will discover that there are many forms of theft, and some are just indescribably evil.